Some materials can be difficult or near impossible to measure with precision using single-wavelength or ratio pyrometers because of their complex emissivity characteristics. These types of materials are called non-greybody materials and their emissivity varies with wavelength. Multi-wavelength pyrometers use application specific algorithms to characterize infrared energy and emissivity across the measured wavelengths to accurately calculate both the actual temperature and emissivity of these complex non-greybody materials. For more information about multi-wavelength pyrometers, review the embedded document below, or download a PDF version of "Multi-Wavelength Pyrometers" here. For application assistance, contact Hile Controls of Alabama by visiting https://hilealabama.com or by calling 800-536-0269. 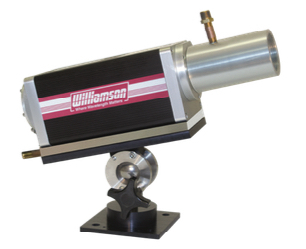 Multi-Wavelength Pyrometers from Hile Controls of Alabama, Inc.